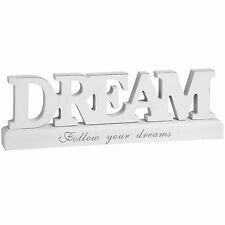 RANGE OF PLAQUES AVAILABLE AT CLEARANCE PRICES!!!!!!!!! 'Dream A Little Bigger' a4 Print. a4 size PRINT ONLY! Wooden Plaque. Twine Cord Supplied With The Plaque. Ready To Hang. Suitable For Indoors Our Outdoors. This plaque is Capital followed by lowercase letters (as pictured). 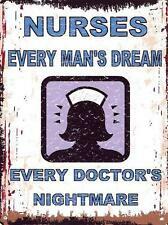 Approximate Size of Plaque 260mm Wide x 70 High. Wooden Word. Size and Finish. Both sides sanded to a nice smooth finish. Cut from 5mm Birch Plywood. Dr ea m st an di ng p la qu e withQUOTE and tiny flower design. Modern wooden hanging sign would make nice gift new. It will look great hung in any part of the house. Give this gift with love to friends and family and put a smile on their face letting her know you are there for them and remind them to never give up. 25cm x 16cm. 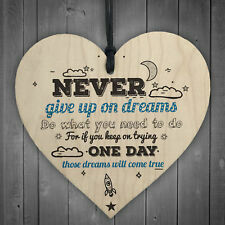 Wooden Dream Big Plaque. Christmas Tinsel. Household Essentials. A stunning addition to your kitchen. General Fancy Dress. Fancy Dress. Christmas Fancy Dress. MDF Dream Catcher Craft Blank Laser Cut from approx 2.5mm Premium Craft MDF, ultra smooth finish. MDF & Laser cut products may initially have slight odour which should dissipate. MDF Shade may vary. Driftwood Style Hanging Sign . . Your Dreams! Live the life you imagined. Live the life you imagined. Myself. Drift Wood Hanging Sign. 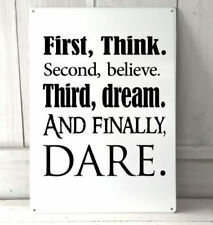 Go confidently in the direction of your dreams! Loads of Sign's & Plaques! 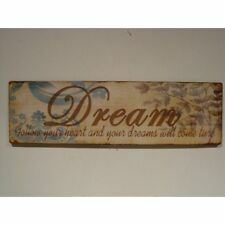 Wooden DREAM Plaque Decor. Condition is Used. Dispatched with Royal Mail Signed For® 2nd Class. 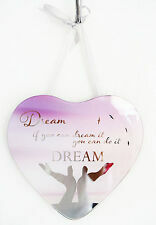 Purple glass plaque, Dreams, believe you can and you're halfway there. DREAM Vintage Style Wall Letters Condition is Used with slight signs of wear. MDF Dream Catcher Craft Blank Laser Cut from approx 2.5mm Premium Craft MDF, ultra smooth finish. 1 MDF Butterfly 76mm x 51mm. 1 MDF Ring 150mm round. 2 MDF Feathers 40mm x 97mm. 1 MDF Feather 34mm x 122mm. Solid Hard Wood Cube 50mm Tea Light Holder. Includes tea light. 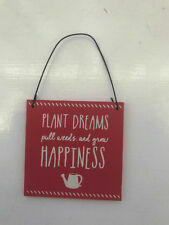 Austin Sloan Hanging Door Sign Wooden “Living The Dream” Brand New Slogan Sign. Condition is New. Unwanted gift sadly. Dispatched with Royal Mail 2nd Class. 3D design with wooden giraffes. Cute Wooden Wall Hanging Picture. 'Dream Big Little One'. Laser Cut VW Campervan Dream Catcher. Made from 3mm MDF. 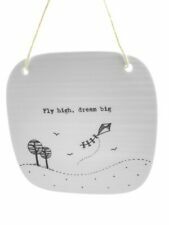 2 Hanging Wooden Home Decor Signs "Dream" & "I'm In The Garden"
8" Table Cross with Proverb "Cherish Yesterday, Live Today, Dream Tomorrow"